Leveraged finance in India has not evolved to the extent that it has in western jurisdictions. Lending against security or security interests created over assets is, of course, common; lending for the purpose of the acquisition of shares2 and lending against security or security interests created over shares are regulated and, in some cases, prohibited. Companies3 are prohibited from 'assisting' with the acquisition of their own shares, effectively precluding leveraged buyout (LBO) structures, and, separately, banks and non-banking financial companies (NBFCs)4 are subject to caps on their exposure to transactions where the principal security5 or collateral comprises shares. There are distinct regulatory concerns that must be considered by borrowers, other obligors and lenders in India. Some of these are of general application, while some apply only, and additionally, to transactions where the borrower or the lender is not Indian. Leveraged buyouts by public companies8 are not permitted under Indian company law, which prohibits a public company from providing a loan, guarantee or any financial assistance to any person for the acquisition of shares of that public company. Therefore, acquirers of a company cannot raise funds using the assets of the Indian target public company as security for such financing.9 While this stricture does not apply to private companies, leveraged buyouts are rare, although slowly gaining ground. Foreign direct investment (FDI) in India, both primary subscription and secondary acquisition, is permitted without prior approval from the Reserve Bank of India (RBI) subject to compliance with conditions, including those relating to sectoral caps and pricing. FDI is a preferred route for raising funds for M&A transactions as, unlike in the case of ECBs, there are no restrictions on the end use of funds. An alternative available to non-resident investors seeking to secure leveraged finance in India may be to secure leveraged finance at a level above the Indian target company (i.e., the offshore acquirer secures finance from lenders offshore India to make the acquisition). While a non-resident investor may encumber shares of the relevant Indian company to secure credit facilities raised outside India,10 prior RBI approval is required if the proceeds of these credit facilities are to be used for further acquisition in India, and the approval is unlikely to be issued. Subject to conditions stipulated by the RBI, a non-resident investor may encumber listed shares of an Indian company to secure credit facilities that the Indian company raises from Indian NBFCs for bona fide business purposes. Additionally, a non-resident investor holding units of an investment vehicle11 may encumber units of the investment vehicle to secure credit facilities raised outside India. Separately and in addition to the restrictions at Section 67(2) of the Companies Act 2013 (the Companies Act) a company's ability to provide loans and guarantees generally is also restricted. This, however, may be addressed by seeking specific shareholder approval to provide loans and guarantees in excess of the limits specified under the Companies Act. To uphold the integrity of the domestic banks, the Banking Regulation Act 1949 prohibits banks from granting loans and advances against security of their own shares. Additionally, banks are not permitted to provide loans or advances to their directors or entities in which their directors are interested. The RBI has also prescribed credit exposure norms in respect of individuals, groups, certain industries and sectors, and the capital market. The exposure of Indian banks to capital markets is regulated, and vanilla lending for buying shares of an Indian company by banks is not permissible. The RBI has prohibited banks from lending monies to a borrower company (offshore or onshore) if the funds are to be used to purchase shares of an Indian company. However, banks may lend monies to Indian companies for acquisition of equity in overseas joint ventures, and, or, wholly owned subsidiaries or in other overseas companies as strategic investment.14 Further, foreign currency loans, including the proceeds of ECBs, cannot be used for onshore acquisitions. The underlying reason for the prohibition is to ensure the safety of domestic banks and to prevent volatility in the Indian security markets owing to offloading of shares. As they are for NBFCs, exposure norms are prescribed for banks;15 what is germane is that, generally, a bank cannot hold more than 30 per cent of the capital of another company or shares whose value exceeds the higher of 30 per cent of its own paid-up capital and reserves. A bank's aggregate exposure to the capital markets (both fund-based and non-fund based) should not exceed 40 per cent of its net worth at the end of the previous financial year. Within this overall ceiling, the bank's direct investment in shares, convertible bonds or debentures, units of equity-oriented mutual funds and all exposures to venture capital funds (both registered and unregistered) must not exceed 20 per cent of its net worth. A bank cannot provide a loan in excess of 1 million rupees to an individual against security of shares, convertible bonds, convertible debentures and units of equity-oriented mutual funds where the securities are held in a physical form and a loan in excess of 2 million rupees to an individual where the securities being pledged are dematerialised. Such loans would be considered part of a bank's exposure to capital markets. Loans sanctioned to corporates against the security of shares for meeting the promoters' contribution to the equity of new companies in anticipation of raising resources will be treated as a bank's investments in shares, which will fall under the 40 per cent ceiling of the bank's net worth as at the end of the previous financial year. These loans will also be subject to individual or group of borrowers' exposure norms, as well as the statutory limit on shareholding in companies. An NBFC is a company whose financial assets constitute more than 50 per cent of its total assets, and over 50 per cent of its gross income is attributable to the income from such financial assets. Unless specifically exempted, every NBFC is required to be registered with the RBI. Historically, apart from the general prudential regulations applicable to all NBFCs, lending against shares by NBFCs was not subject to any specific regulatory restrictions. Unfortunately, acquirers still face difficulties in financing high-value transactions, as NBFCs are subject to exposure norms that apply to business sectors, single borrowers and affiliated companies. In addition, the RBI restricts NBFCs from lending against a pledge of shares in an attempt to control the market volatility caused by the invocation of pledges in an event of default. Consequently, NBFCs are required to, inter alia, maintain a loan-to-value ratio of 50 per cent. Additionally, NBFCs with assets worth 1 billion rupees or more can only accept shares as security if the shares have been traded on a stock exchange for a specific number of days in the preceding 18-month period. The norms for NBFCs lending against shares are also aimed at ensuring that NBFCs are not overleveraged. The exposure of a bank to a single NBFC should not exceed 10 per cent of the bank's capital funds or 15 per cent of the bank's capital funds in the case of an asset finance company.16 These limits may be increased by 5 per cent where the funds are on-lent to the infrastructure sector. Indian companies can access funds from abroad through ECBs by way of commercial loans and issues of FCCBs, non-convertible, optionally convertible or partially convertible preference shares and foreign currency exchangeable bonds (FCEBs). FCCBs and FCEBs are subject to several conditions (limits on the tenure, amount of the loan, use of funds, rate of return, etc.). ECBs cannot be raised to finance acquisitions of (other) Indian companies. Indian companies are permitted to establish offshore Indian joint ventures and subsidiaries and issue guarantees securing obligations of those joint ventures and subsidiaries (see above); however, no such joint venture or subsidiary may hold shares of an Indian company, and this is, therefore, relevant only for an Indian company that seeks to make further acquisitions outside India. Foreign institutional investors are entities incorporated outside India, and registered with the Securities and Exchange Board of India (SEBI) as foreign portfolio investors (FPIs) under the Securities and Exchange Board of India (Foreign Portfolio Investors) Regulations, 2014 that invest in India securities. Although not 'lenders' per se, FPIs may subscribe to debt. Presently, there are over 9,000 FPIs registered with SEBI. As rated securitisation transactions allow for structuring of risk-return profiles, there is no shortage of investors looking to participate. Other debt market products, however, such as non-convertible debentures (NCDs) and commercial paper, are typically acquired by FPIs, microfinance-focused funds and other impact investors, and some of these debt instruments may be secured. The RBI has mandated that all authorised dealers17 through whom foreign exchange transactions are carried out are responsible for complying with the applicable tax laws. Interest payments are subject to withholding, and service tax is levied on arrangement and similar fees. In addition, where a company has guaranteed the obligations of another, affiliate, company at no charge, the Indian Revenue requires the guarantor to pay tax on a deemed income (a percentage of the guaranteed amount calculated broadly at par with bank charges for an equivalent guarantee) that the guarantor would have received for issuing a third-party guarantee. The securities and guarantees that can be issued in favour of the lender are as follows. Shares of both listed and unlisted companies may be pledged by executing a duly stamped deed of pledge. Under the SEBI (Substantial Acquisition of Shares and Takeover) Regulations 2011 (the Takeover Regulations), an encumbrance created over shares of a listed company by a promoter must be disclosed to the target company and the stock exchange on which the target company is listed. If the enforcement of pledge results in the lender holding more than 25 per cent of the capital of the listed company, the lender will be obliged to make an open offer in terms of the Takeover Regulations; however, if certain conditions are met, the invocation of pledge by a scheduled commercial bank or a public financial institution will not trigger an open offer. Mortgage of immovable property is usually by way of a registered mortgage deed or by deposit of title deeds. Depending on where the property is situated and nature of the property to be mortgaged, approvals from the government or local authorities may be required. Additionally, where the property has been leased, the approval of the lessor or lessee will also be required for the creation of a mortgage. Security may be created by way of hypothecation over movable property through deeds of hypothecation. The charge has to be registered with the registrar of companies (RoC). Movable property generally includes all forms of tangible movable property, such as portable machinery and equipment, cars, financial instruments such as shares, debentures, claims and receivables such as trade-related receivables, contractual rights and benefits, and intellectual property such as trademarks. Security interest can be created over tangible property with a fixed or floating charge and by way of a floating charge on fungible assets such as inventory and stock in trade. Charge is created over cash and bank accounts in a similar manner through deeds of hypothecation. Guarantees may be obtained from the borrower or the onshore corporate promoters, or both, or their associates. 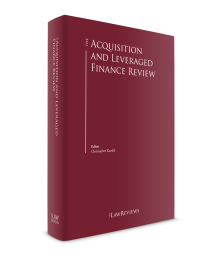 Generally, a guarantee that is offered to secure an acquisition financing consists of a corporate guarantee or a promoter guarantee of the acquirer, or both. Although security interests can be created in favour of NBFCs, enforceability of these security interests remains a challenge. Enforcement of security interests over immovable property is usually a time-consuming and court-driven process. Unlike banks, NBFCs are not entitled to security interests under the provisions of the Securitisation and Reconstruction of Financial Assets and Enforcement of Security Interest Act 2002. Under most financing documents, situations such as shareholder or promoter mis­representation, changes in the debt-to-equity ratio, falls in profits after acquisition, etc., are held to be events of default. In such situations, lenders typically retain the right to enforce security. Under Indian law, however, an amount must be overdue to the lenders prior to enforcement; therefore, ordinarily lenders accelerate the debt and thereafter enforce the security interests. Enforcement of security against a liquidator or creditor of the borrower prior to insolvency will be void if the requisite forms with the RoC have not been filed or if the lender does not file a suit for recovery within three years of the date the debt was due or acknowledged by the company. It should also be noted that banks may enforce security more easily than an NBFC, and this results in a higher cost to the borrower where the lender is an NBFC. The Insolvency and Bankruptcy Code, 2016 provides that, in the event of winding up, certain payments rank in priority over others. Such claims include workmen's dues and debts due to secured creditors (to the extent such debts rank pari passu with workmen's dues). At the time of winding up, these claims are to be paid prior to all other claims. Such debt will also have priority over the claims of debenture holders under any floating charge created by the company and must be settled out of proceeds of any property comprised in or subject to that charge. All statutory dues payable to the government or local authorities, wages owing to employees18 and employment benefits accruing to employees in the year prior to winding up will rank lower than workmen's dues and amounts payable to secured creditors. In the event that the assets are not sufficient to meet these preferential debts fully, they abate or are reduced in equal proportion. Subordination of debt may take place either in terms of statute (see above) or contractually. Lenders can contractually determine priority and subordination provided that the priority so stipulated is not disruptive of the priority set out in the Insolvency and Bankruptcy Code, 2016. Where the priority of security is not contractually agreed, security that is created prior in time will rank in priority to security that is created later. Secured lenders may even contractually agree among themselves and determine the ranking of their debts. An intercreditor agreement generally spells out the differences between different creditors and their rights in the event of a bankruptcy or default of the borrower. A first-ranking charge will have priority over a second-ranking charge at the time of enforcement of security. The Supreme Court of India has recognised the right of parties to select the law governing a contract as long as such choice is bona fide and legal. That said, it is extremely rare for Indian loan documentation to be governed by any law other than Indian law. A foreign law is usually stipulated as applying to loan documents where the loan is not rupee-denominated or the lender is a non-resident. Under the Civil Procedure Code 1908, a certified copy of a decree of any of the superior courts of a reciprocating territory may be executed in India as if it has been passed by an Indian court. The Indian court must, however, refuse execution of any such decree in certain circumstances, for example, when the judgment has not been made by a court of competent jurisdiction or the judgment is not on the merits. The Supreme Court of India has affirmed this on more than one occasion. A party seeking to enforce a foreign judgment in India may be required to obtain approval under the applicable foreign law to execute such a judgment or to repatriate any amount recovered. Arbitration provisions governed by rules other than the Indian Arbitration and Conciliation Act, 1996 (the Arbitration Act) are common in financing documents. Enforcement of a foreign arbitral award in India is possible under the Arbitration Act, which recognises awards made in countries with which India has a reciprocal relationship. That the courts cannot go into the merits of the award was clearly laid down by the Supreme Court in Renusagar Power Co Ltd v. General Electric Co.19 Indian courts may refuse to enforce foreign awards on certain grounds (e.g., if the arbitration agreement is not valid under the law to which it is subject or if the award contains decisions on matters not submitted to the arbitral tribunal). The courts may also refuse to enforce a foreign award if, in the opinion of the court, the enforcement of the award would be contrary to India's public policy. This reasoning has been used fairly liberally by Indian courts in the past. The Arbitration Act was amended in 2015 to curtail this power by clarifying that Indian courts will not be authorised to review the merits of a dispute while adjudicating if the arbitral award is opposed to public policy. The enforcement of documents governed by foreign law is generally subject to the nature of remedies available in Indian courts, the acceptance by such courts of jurisdiction, the powers of such courts to stay proceedings, and other principles of law and equity and procedure of general application. Enforcement may also be affected by failure to take timely action or the lapse of time, which may operate as a bar on further judicial proceedings under the provisions of the Indian Limitation Act 1963. With the slowdown of the Indian economy impacting a number of projects and companies, the RBI has started paying greater attention to stressed assets. Subject to the regulatory and statutory exposure limits, the RBI has prescribed prudential norms20 that permit banks to extend finance to specialised entities21 established for the acquisition of stressed companies. However, these prudential norms state that the lenders should assess risks associated with such financing and ensure that these entities are adequately capitalised and debt equity ratio for such an entity is not more than 3:1. Further, the RBI has recently revised the framework for restructuring stressed assets22 to be geared towards resolution and not recovery. Infrastructure finance companies (IFCs) and infrastructure debt funds (IDFs) are NBFCs exclusively financing the infrastructure sector. Some of these companies have asset books running into millions of rupees and are experts in long-term project financing. The asset liability pattern, however, is a matter of concern in the case of IFCs, as these are lending long term against comparatively shorter-term liabilities. Recently, the RBI23 has enhanced bank lending in the infrastructure sector by allowing IDFs to raise funds through short-term bonds and commercial papers from the domestic market, up to a limit of 10 per cent of their total outstanding borrowings, allowing IDFs to substantially widen their asset base. Many microfinance institutions are actively involved in raising debt finance from capital markets via the issuance of NCDs, commercial paper, unsecured subordinated NCDs and through rated securitisation transactions or portfolio buyouts in which banks routinely invest. NBFCs also provide funding in the form of NCDs without being subjected to the interest-rate caps that apply in the case of compulsory convertible debentures. In its revised guidelines24 on private placement of NCDs (maturity more than one year) by NBFCs, the RBI has provided a limit of 200 subscribers for every financial year, for issuance of NCDs with a maximum subscription of less than 10 million rupees, and such subscription will be fully secured. Further, there is no limit on the number of subscribers in respect of issuances with a minimum subscription of 10 million rupees and above. The minimum subscription amount prescribed per investor is 20,000 rupees, and the option to create security in favour of subscribers rests with the issuers. NBFCs cannot extend loans against the security of its own debentures issued either by way of private placement or public issue. Listed NCDs can be secured (by way of pledge, mortgage of property, hypothecation of receivables, etc.) in favour of the debenture trustee that acts for and in the interest of the NCD holders. The RBI has established a framework for investments that allows FPIs to take part in open offers, buyback of securities and disinvestment of shares by the central or state governments. While, for the most part, borrowing of monies from outside India is heavily regulated with restrictions on end use as set out in the ECB regulations, both listed and unlisted NCDs may be issued to FPIs. Historically, FPIs were permitted to invest only in listed NCDs; recently, SEBI25 amended this position allowing FPIs to invest in unlisted corporate debt securities and securitised debt instruments. To further deepen the corporate bond market, SEBI has further sought to relax the norms in relation to FPIs. SEBI has stated that Category I and II FPIs will have an option to directly access corporate bond markets, government securities and such other securities falling under the purview of the RBI, without brokers, as has been allowed for, inter alia, domestic institutions such as banks, pension funds and insurance companies. Earlier, FPIs were mandatorily required to invest in debt securities only through a broker. This move has helped widen the market and has provided a welcome impetus to increased investment in corporate debt securities. In summary, while Indian law is rapidly changing and those changes will incentivise debt markets, the prohibition on a public company providing financial assistance for the acquisition of its shares will preclude substantive development of leveraged buyouts. 1 Justin Bharucha is a founding partner at Bharucha & Partners. 2 'Shares' refers to securities issued by companies. In most cases, promoters seek to use their equity or quasi-equity shareholding as collateral for a facility. 3 Indian company law prevents only public, both listed and unlisted companies, from providing 'financial assistance' for acquisition of any shares in the company or in its holding company. 4 An NBFC is a company that acts as a financial institution or as a non-banking institution whose principal business is receiving deposits or lending. The government may, from time to time, classify other companies as NBFCs. 6 See Section VI on non-convertible debentures. 7 Unsurprisingly, given the reduced investments by Indian companies outside India, the most significant examples of leveraged buyouts by Indian companies are dated. 8 Section 67(2) of the Companies Act, 2013. 9 The only exception is a buy-back of the company's shares in accordance with the Companies Act 2013, but this is not germane to this chapter. 10 Regulation 10(12)(b)(ii) of the Foreign Exchange Management (Transfer or issue of security by a person resident outside India) Regulations 2017. 11 An investment vehicle is an entity registered and regulated under relevant regulations framed by SEBI or an authority designated for purposes including real estate investment trusts and alternative investment funds. 12 For example, the guarantor should have received a no objection certificate from its authorised dealer bank; if security is given over immovable assets, the charge should be coterminous with the ECB. 13 An Indian entity may do so only if the aggregate financial commitment to all its overseas subsidiaries and joint ventures does not exceed 400 per cent of the Indian company's net worth. 14 Paragraph 2.3.1.12 of the RBI Master Circular on loans and advances dated 1 July 2015. 15 Banks' exposure limits for individual borrowers is 15 per cent of the capital funds and 40 per cent for group borrowers subject to an increase of 5 per cent in the case of individual borrowers, and 10 per cent in the case of group borrowers where credit is being given for infrastructure projects and a separate increase of 5 per cent if the borrower consents to the bank disclosing such exposure in its annual report. 16 A type of NBFC. 17 The Indian bank remitting the monies outside India. 18 In the Indian legal context, there is a distinction between 'workmen' and 'employees'. A 'workman' is a person other than a person employed in a supervisory capacity drawing wages exceeding 10,000 rupees per month or exercising, either by the nature of duties attached to his or her office or by reason of the powers vested in him or her, functions mainly of the managerial nature; or a person employed mainly in a managerial or administrative capacity. All other persons employed by an establishment would be considered 'employees'. 19 AIR 1994 SC 860. 20 RBI Master Circular on Prudential norms on Income Recognition, Asset Classification and Provisioning pertaining to Advances dated 1 July 2015. 21 In this regard, a 'specialised' entity will be a body corporate exclusively set up for the purpose of taking over and turning around troubled companies and promoted by individuals and, or, institutional promoters having professional expertise in turning around 'troubled companies' and eligible to make investments in the segment to which the target asset belonged. 22 RBI Revised Framework on Resolution of Stressed Assets dated 12 February 2018. 23 RBI circular on IDFs dated 21 April 2016. 24 RBI circular on Raising Money through Private Placement of Non-Convertible Debentures (NCDs) by NBFCs dated 20 February 2015. 25 Securities and Exchange Board of India (Foreign Portfolio Investors) (Second Amendment) Regulations, 2017.